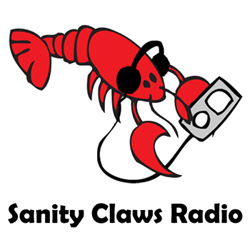 Sanity Claws Radio – Extended Roundtable! We play catch up with an extended round table discussion in this episode of Sanity Claws Radio. Scotty, Steve, Badger, Jon, and Minnesota Mike take some time to catch up on all of the games that we’ve been playing for the past few weeks in an extended round table discussion! Mike announces his grand move and gets into a LOT of Magic. Scotty talks about the joys of the Tales from the Borderlands. Steve plays video games that he actually likes. Badger returns to an old classic. And Jon plays two excellent games that he helped kickstart. And finally, we finish off the show with a heated round of I Can Top That. It’s a fun time! Join in Won’t you? ← Lobstertank #25 – Over the Garden Wall Spoiler Session!